The Estimate of the Charge of the Several Works in a new Entended House to be Built for Col. Legonire about 6 miles from Dublin by a plan of Sr Edward Lovet Pearce. An estimate for the costs of building a house for John Ligonier (1680-1770) on a folded sheet. Folio 1 has rough calculations on sides (i) and (ii). The estimate is written on Folio 2 side (i) continuing onto side (ii). Inscribed in ink with the title. 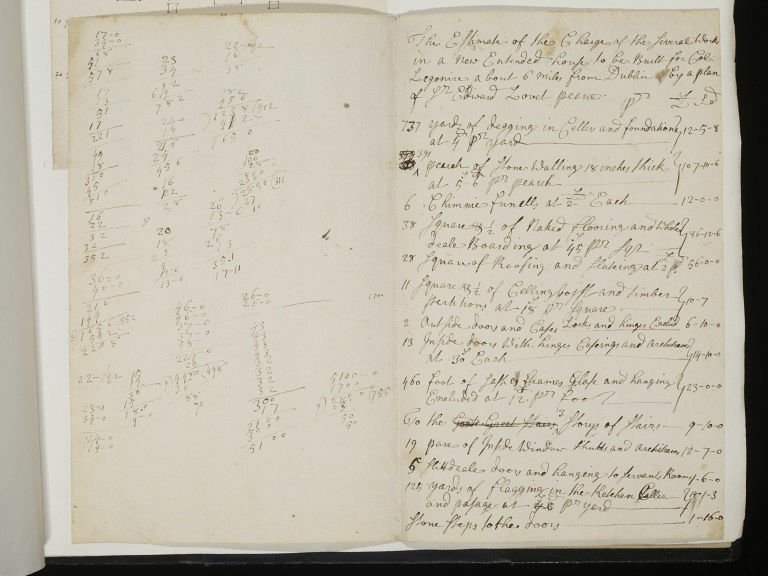 The estimate of the charge of several works for a new house for Col. Legonire, near Dublin in the Vanbrugh Album; circle of Sir Edward Lovett Pearce (ca.1695-1733). Lorimer, C. and Newton, C. (ed. 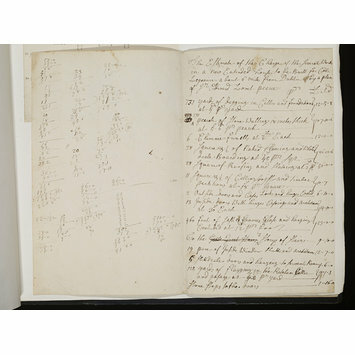 ), The collection of drawings by Sir John Vanbrugh and his circle in the Victoria and Albert Museum, London: V & A, 1996, p. 48, cat. 118.